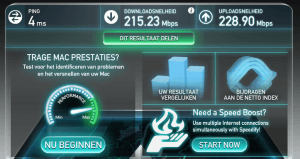 If you are one of those people opting for a VPN ( Virtual Private Network ) connection, you have a few options finding the VPN client that helps you connect to the desired VPN server. It’s not all rocketscience, but choosing between the options can proof difficult as they differ a lot. 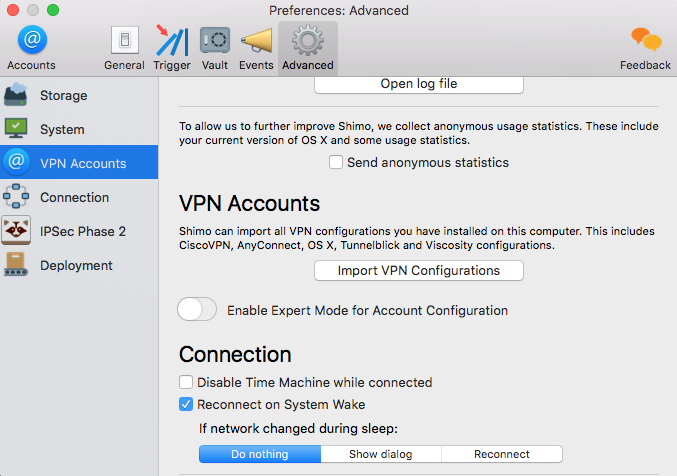 All mentioned clients are VPN Clients of which Tunnelblick and your own OSX system are Free while SHIMO and Cisco and Viscosity are paid clients. So which should you opt for ? 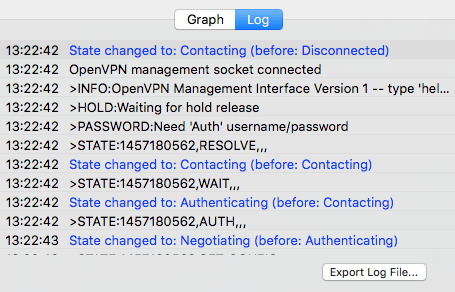 I think it all comes down to your need of security and options. 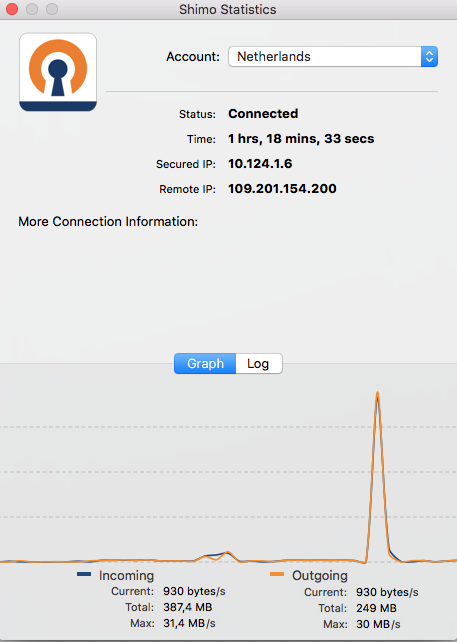 Tunnelblick ( Free ) and Viscosity and OSX, are really easy to setup and work well, but with a lower level of security. 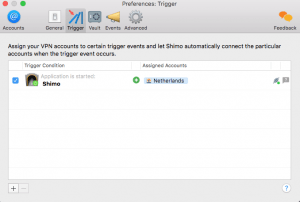 SHIMO will automaticly detect and install an earlier install of accounts . 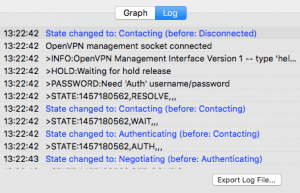 To set the needed password / name select the account and click edit in the right bottom corner. 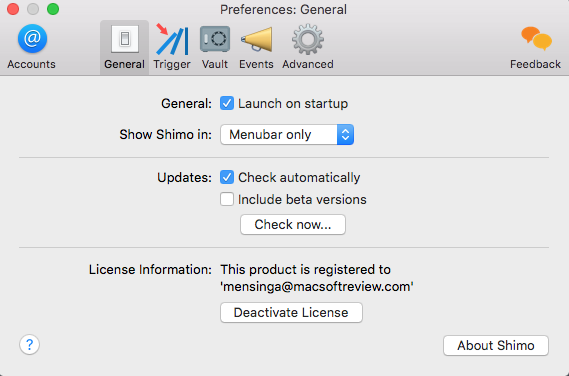 SHIMO has its own menubar app which informs about the active connection , graph , log and IP addresss. 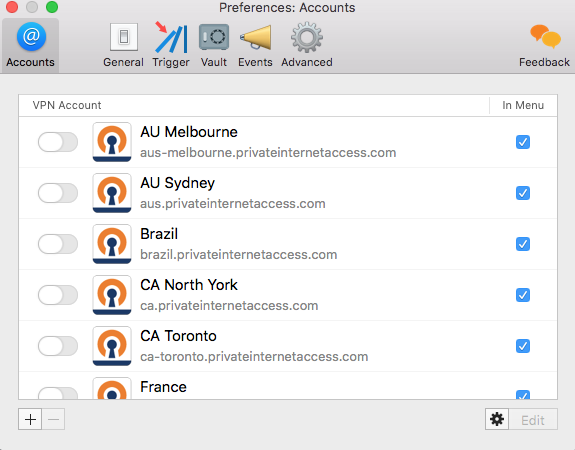 Furthermore it provides all other VPN server access and preferences. 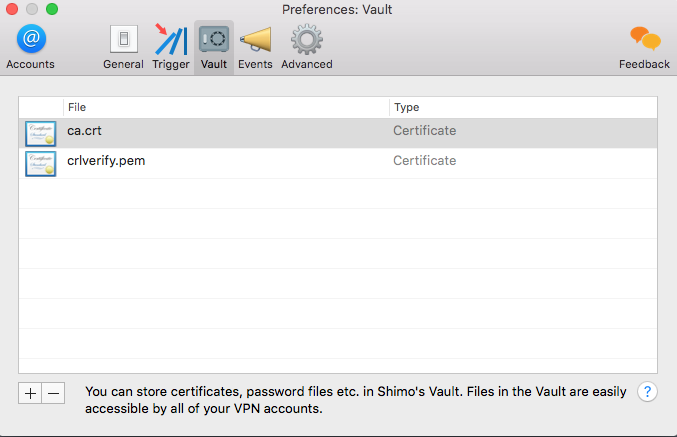 One of the main features of SHIMO is its extreme level of security / encryption. 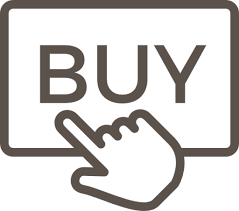 For every business or experienced user this is a real plus. 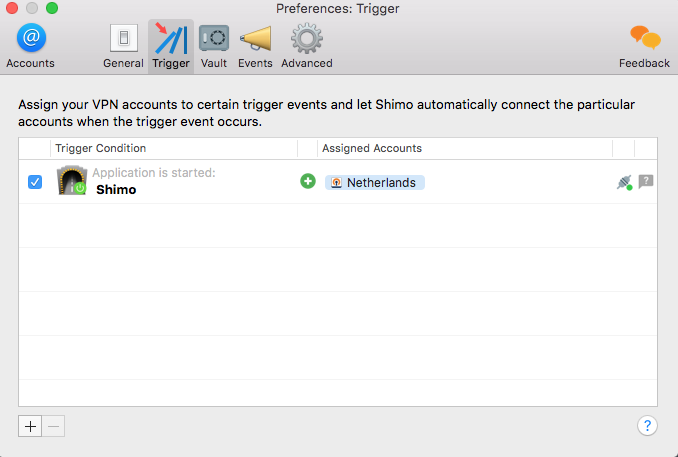 The options in SHIMO are more then most users will need, but that said it shows the developers approach to make this product the best on the market. 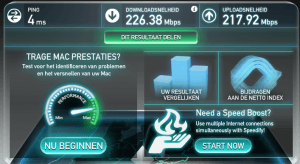 So is it for everyone? 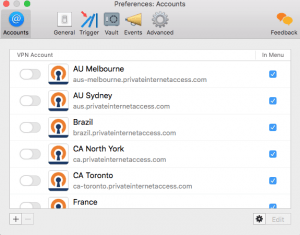 If you feel comfortable with just an easy VPN client you may pick Viscosity as its the easiest VPN Client but if you need the extra safety bonus, this package has it all. 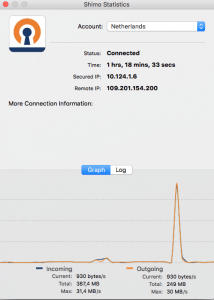 It just stands out of the rest, a great interface, best security and most options and last but not least IT WORKS ! But all good things in life cost money, so get your wallet out and get that extra safety. 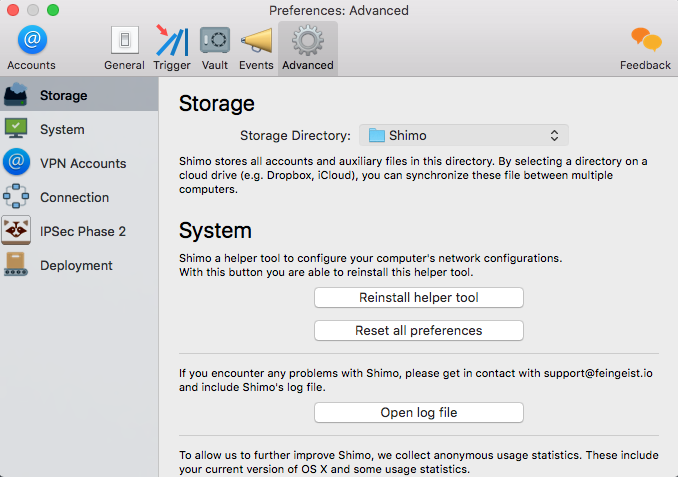 I’ve been using shimo for a long time.I have received a lot of good service from other providers.